Draft: 2012, Colorado Rockies, 3rd rd. Thomas James Murphy … son of Tom and Kelly … has a younger brother, Jacob, who is a forest technician … his family still lives in the house that his father built ... Married to Lindsay, together they reside in Constantia, N.Y., in the offseason with their daughter Tessa … welcomed son Thomas William-Jase Murphy on July 7, 2018 ... Enjoys hunting, fishing and any other version of exploring with family and friends in the Adirondacks ... Enjoys reading anything from fantasy novels to philosophy ... Attended Paul V. Moore High School in Central Square, N.Y ... Majored in business administration at the University of Buffalo. Appeared in a career-high 37 games across two stints in his fourth Major League season ... Started 20 games, 19 games at catcher and one at DH … hit .231 (18-for-78) with one home run and nine RBI as a starter … posted a 4.34 catcher's ERA behind the plate in 170 innings ... Batted .200 (3-for-15) with one double, one home run, two RBI and a walk as a pinch-hitter … pinch-hit, go-ahead solo home run in the eighth inning on July 21 at Arizona, the second pinch-hit home run of his career ... Recorded a career-high-tying three hits twice, June 12 at Philadelphia and June 22 vs. Miami … career-high two doubles June 22 vs. Miami ... Placed on the paternity list July 1 and reinstated on July 10 ... In 64 games with Albuquerque, batted .258 (61-for-236) with 16 doubles, three triples, 17 home runs and 49 RBI. Missed three months due to a fractured right forearm suffered in a Spring Training game while throwing down to second base and striking the hitter's bat...Appeared in 12 games across two stints with the Rockies, his third season with the Major League club...Batted .414 (12-for-29) with four doubles, one triple, one home run and seven RBI in seven rehab games with Albuquerque before being reinstated from the disabled list on June 15...Was 1-for-20 in eight games with the Rockies after being reinstated from the DL … optioned to Triple-A on June 30...Recalled from Triple-A on Sept. 1 … made four pinch-hit appearances through the end of the season, going 0-for-4...In 38 games with Albuquerque, batted .255 (36-for-141) with 10 doubles, one triple, four home runs, 19 RBI, nine walks and 56 strikeouts. Played in 11 games for the Rockies, making 10 starts, in his first year reaching the big leagues. Reached the big leagues in September after playing 72 games at Double-A New Britain and 33 for Triple-A Albuquerque. Went 9-for-35 (.257), scoring nine runs with one double, three home runs and nine RBI for the Rockies. Made his Major League debut Sept. 12 at Seattle, going 0-for-3 with a run. Notched his first Major League hit, RBI and homer in his fourth game, going 3-for-5 vs. San Diego Sept. 19 in a 10-2 win … singled to left field in the first inning, driving in Carlos Gonzalez, off left-hander Robbie Erlin … cracked his first Major League home run in the fifth inning, a solo shot off right-hander Marcus Mateo … caught Yohan Flande, Christian Bergman, Gonzalez Germen, Simon Castro and Jason Gurka. Hit a home run in three consecutive games (Sept. 19-23), driving in a combined eight runs. Joined Nolan Arenado (twice) and Carlos Gonzalez (twice) as the only Rockies to hit a home run in three or more consecutive games in '15. Had three RBI Sept. 21 and Sept. 23 vs. Pittsburgh. Suffered a shoulder injury Oct. 3, forcing him to miss the Arizona Fall League season. Named a Eastern League Mid-Season All-Star at Double-A New Britain, where he hit .249 (66-for-265) with 17 doubles, one triple, 13 home runs and 44 RBI in 72 games. Hit safely in eight of his first 10 games, including three homers and seven RBI. Had four hits, including two home runs, and six RBI on May 5. Hit .271 (35-for-129) with nine doubles, two triples and seven home runs over 33 games for Triple-A Albuquerque. Hit safely in six of his first seven games at Triple-A from July 23-31 … had a combined seven hits in 13 at-bats vs. El Paso in three games. Spent the season at Double-A Tulsa but played in just 27 games due to injuries. Hit .213 (20-for-94) with four doubles, five home runs, 15 RBI and 16 runs … played catcher in 23 games and was the club's designated hitter in four games. Played his last game of the season on May 15 … missed the final three and a half months due to a shoulder injury. Hit .278 (10-for-36) in 11 games in May after batting .172 (10-for-58) in 16 April contests. Hit safely in his first five games of the season. Split the season between Single-A Asheville and Double-A Tulsa hitting a combined .289 (103-for-357) with 31 doubles, 2 triples, 22 home runs and 83 RBI in 100 games...Began the season with Asheville before being promoted to Tulsa on 8/6 to finish the season...Hit .290 (20-for-69) with 5 doubles, 3 home runs and 9 RBI in 20 games for Double-A Tulsa after jumping up two levels...Was selected as the top catcher of the South Atlantic League following the season, was also named a Topps Class A All-Star...Earned SAL Player of the Week honors on three separate occasions and was a SAL Mid-Season All-Star...Baseball America rated him as the 7th-best prospect in the organization, as well as the top catching prospect. In his first professional season, played the third-most games for Short Season Tri-City...led the Dust Devils with his 22 extra-base hits (13 2B, 3 3B, 6 HR) and 38 RBI...rated the 14th-best prospect for the Rockies by Baseball America. 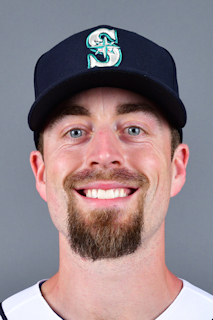 March 29, 2019 San Francisco Giants traded C Tom Murphy to Seattle Mariners for RHP Jesus Ozoria. March 28, 2019 San Francisco Giants designated C Tom Murphy for assignment. March 25, 2019 San Francisco Giants claimed C Tom Murphy off waivers from Colorado Rockies. September 1, 2018 Colorado Rockies recalled C Tom Murphy from Albuquerque Isotopes. August 7, 2018 Colorado Rockies optioned C Tom Murphy to Albuquerque Isotopes. July 10, 2018 Tom Murphy roster status changed by Colorado Rockies. July 7, 2018 Colorado Rockies placed C Tom Murphy on the paternity list. June 12, 2018 Colorado Rockies recalled C Tom Murphy from Albuquerque Isotopes. March 27, 2018 Colorado Rockies optioned C Tom Murphy to Albuquerque Isotopes. October 5, 2017 Tom Murphy roster status changed by Colorado Rockies. October 4, 2017 Colorado Rockies reassigned C Tom Murphy to the minor leagues. September 1, 2017 Colorado Rockies recalled C Tom Murphy from Albuquerque Isotopes. June 30, 2017 Colorado Rockies optioned C Tom Murphy to Albuquerque Isotopes. June 15, 2017 Tom Murphy roster status changed by Colorado Rockies. June 3, 2017 Colorado Rockies sent C Tom Murphy on a rehab assignment to Albuquerque Isotopes. April 2, 2017 Colorado Rockies placed C Tom Murphy on the 10-day disabled list retroactive to March 30, 2017. Fractured right forearm. September 2, 2016 Colorado Rockies recalled C Tom Murphy from Albuquerque Isotopes. May 6, 2016 Albuquerque Isotopes activated C Tom Murphy from the 7-day disabled list. April 10, 2016 Albuquerque Isotopes placed C Tom Murphy on the 7-day disabled list. Strained left oblique. April 10, 2016 Albuquerque Isotopes placed C Tom Murphy on the 7-day disabled list. March 18, 2016 Colorado Rockies optioned C Tom Murphy to Albuquerque Isotopes. September 11, 2015 Colorado Rockies selected the contract of C Tom Murphy from Albuquerque Isotopes. July 23, 2015 C Tom Murphy assigned to Albuquerque Isotopes from New Britain Rock Cats. July 6, 2015 New Britain Rock Cats placed C Tom Murphy on the temporarily inactive list. February 10, 2015 Colorado Rockies invited non-roster C Tommy Murphy to spring training. September 27, 2014 New Britain Rock Cats activated C Tom Murphy from the 7-day disabled list. May 16, 2014 Tom Murphy roster status changed by Tulsa Drillers. February 4, 2014 Colorado Rockies invited non-roster C Tom Murphy to spring training. August 5, 2013 C Tom Murphy assigned to Tulsa Drillers from Asheville Tourists. April 23, 2013 Tom Murphy roster status changed by Asheville Tourists. April 15, 2013 Asheville Tourists placed C Tom Murphy on the 7-day disabled list retroactive to April 14, 2013. March 30, 2013 C Tom Murphy assigned to Asheville Tourists from Tri-City Dust Devils. June 14, 2012 Tom Murphy assigned to Tri-City Dust Devils from Colorado Rockies. June 13, 2012 Colorado Rockies signed C Tom Murphy.